We met former Chamber President and current Jackson, Georgia Mayor Kay Pippin in 2009 and helped her redesign the entrance to the Henry County Chamber office in McDonough, Georgia. 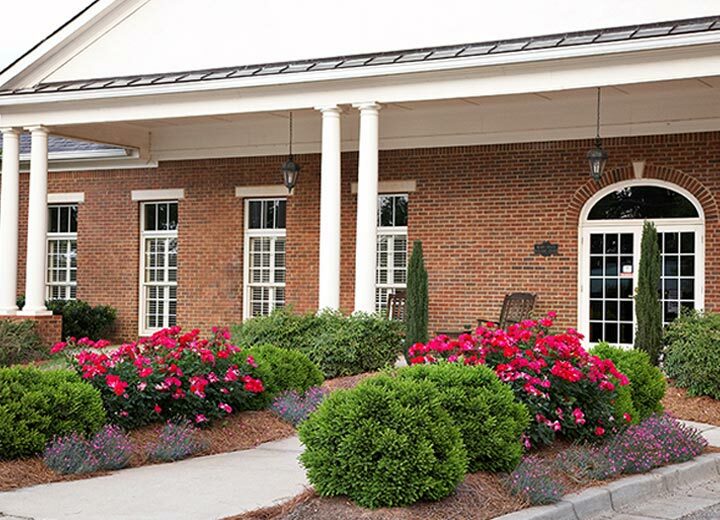 Eliminating higher maintenance annuals and replacing with long blooming Knockout Roses in concert with perennially blooming Dianthus enabled the Chamber to keep costs down during economically challenging times for this non-profit. The image of this Class A office space was not compromised and ongoing maintenance by the Classic team helps protect the plantings and irrigation moving forward.